The 27-page document is the first attempt to draft collaborative grammatical guidance for today’s users with input from Gaelic language professionals, traditional speakers, and academic linguists. The guidance will benefit all people who are working with Gaelic or learning Gaelic by providing a comprehensive, authoritative source of acceptable usage in modern Scottish Gaelic, and will provide the foundations for future work on a comprehensive grammar of the language. 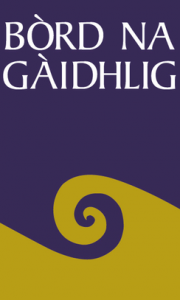 The new resource, hosted by the University of Glasgow’s Digital Archive of Scottish Gaelic (DASG), covers 11 of the most challenging topics in Gaelic grammar as identified by a survey of Gaelic language professionals and teachers. It was drawn up in response to a wide-ranging consultation project in 2013 (Dlùth is Inneach) in which Gaelic users and learners identified access to reliable guidance on modern Gaelic grammar as one of their most important needs. The project to research and compile the guidance was funded by Bòrd na Gàidhlig and MGAlba, and carried out by an inter-university group of Gaelic linguistic researchers led by Professor Roibeard Ó Maolalaigh, Professor of Gaelic at the University of Glasgow. Professor Ó Maolalaigh, who is also Vice Principal and Head of the College of Arts at Glasgow, said: “We are delighted that the fruits of this collaborative Soillse project have been published and made available to the Gaelic community. The research collaboration included the University of Glasgow, the University of Edinburgh and Sabhal Mor Ostaig / University of the Highlands and Islands, under the auspices of the Soillse network for research into Gaelic language and culture. The work was supported by regular meetings with Bòrd na Gàidhlig’s Comataidh Comhairleachaidh Cànain, a group of traditional speakers from different parts of the Gàidhealtachd with wide experience in important domains of Gaelic language development, chaired by Jo MacDonald, who is also chair of MG ALBA’s Standards Committee (Comataidh Inbhean). Evidence was gathered from traditional speakers in the Western Isles and from the usage of recent and contemporary writers of Gaelic as captured in DASG’s 30- million-word corpus of Scottish Gaelic.